And for all those folks who’ve mentioned to me that they want to do a bit of gardening but aren’t sure where to begin, I say, why not start with a little immediate gratification? For that’s exactly what annuals give you – instant loveliness that lasts all summer. This spring, we’re stretching out the yearly event into several “annual days,” because I’ve collected too #$*& many containers to fill them all in one day, even on a good solid 9-hour day of working (and, of course, shopping for plants). Day One in the 2010 “Annual Series” fell on April 16th, a day when pretty much every American citizen needs a pick-me-up. (And this year we brought along a friend, whose front garden beds and pots we attacked that afternoon.) Bates’ selection far outstrips the variety of annuals for sale at most nurseries, and certainly beats the pants off the abject offerings left cooking in the parking lots of big box garden stores. Even the more ordinary annuals, like impatiens, New Guinea impatiens, potato vines, and vinca, seem a bit more crisp and colorful at Bates. We gathered our standard flat of impatiens, a brilliant range of pinks we mix in with hostas and Japanese maples in my shade containers. Thence to more exciting stuff: for sun, dichondra ‘Silver Falls,’ with its cascading silver foliage; the textured purple leaves of Persian Shield; Bates’ (usually) fabulous selection of brilliant sun coleus; spiky purple and pink angelonia flowers; foamy white Euphorbia ‘Diamond Frost’. And for shade, well, impatiens are pretty much worry-free; a few maidenhair ferns, so perfectly delicate they seem manufactured, like snowflakes; and several varieties of begonias (sold as house plants) with stunning purple and silver foliage. Every garden magazine in the history of mankind has surely dedicated 15% of each issue to at least one “how to” article on container gardening featuring photos of $200 ceramic pots containing a flawlessly architectured mix of 47 plants you’ve never heard of. 1. Where does your pot live? Plant sun lovers in sun pots, shade plants in shade. Duh! 2. If you’re planting in very small pots, remember: they will dry out quickly. Plant drought-tolerant annuals or perennials in small containers, especially in sunny spots. 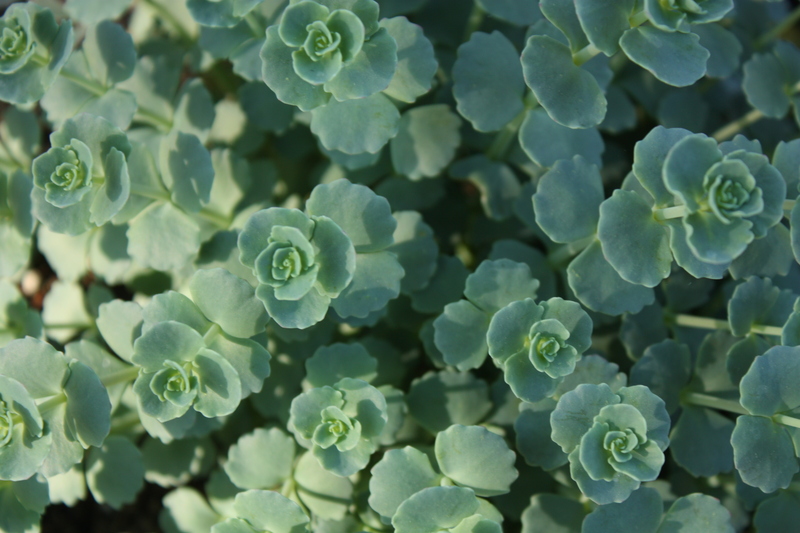 Try the smaller varieties of sedum or annual vinca for small, sunny pots. 3. It’s OK to plant one plant in one pot! You don’t have to Martha Stewart it up. But if you want to mix and match, look for colors and textures that contrast well. I like deep purple and silver together (like Persian Shield and dichondra), or purple and yellow-gold, or pink/red and pale green; something spiky with something soft and feathery, or something upright with a cascading plant, etc. And if you do want a little photographic inspiration, check out these photos on Kerry Michaels’s container gardening blog. 4. Don’t fixate on bloomers. 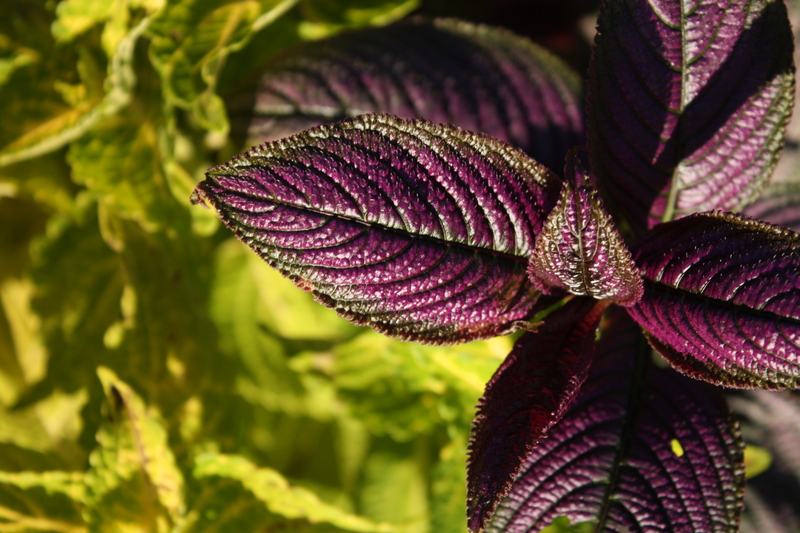 What about feathery grasses, intricate (and hardy) sedum, lacy ferns, aromatic herbs, or the brilliant foliage of coleus? 5. Skip the pre-mixed containers at Lowe’s and HD. You can do better yourself; plus, I’ve often seen containers at those places that combine sun and shade plants in one pot. Whose brilliant idea was that? 6. Skip Lowe’s and HD altogether and visit your local nursery, where plants are often better cared-for, where the selection is superior, and where employees are (hopefully) happy to share their expertise. 7. Save on potting soil: You do not have to go out and buy 10 bags of soil mix. Start with your old potting mix from last years’ pots, then buy a big bag of peat moss and a couple of bags of commercially mixed compost to mix in with the old. Cheaper and better. See this post by Doug Green about how to create the best soil mix for containers. 8. A few words on pots: often, ceramic, terra cotta, and even concrete pots will crack in winter if left outside to freeze. One solution if you don’t want to carry them inside: buy cheap plastic or foam pots and paint them. My mom does an amazing job revamping boring pots with finishes that make them look pleasantly aged or just livens them up a bit. Also consider just drilling a hole in something fun and different — a bucket, old watering can, or garden clog, say — and plant something in it. Not that I have ever actually done this. ***Also, be sure your outdoor pots have holes in the bottom! Otherwise, the first big rain will flood them, and your plants will require scuba gear to survive. 9. Mass pots for a more spectacular effect. This works especially well if you have a motley mix of pots of all sizes, shapes, and styles. Choose a main color theme for a little punch. 10. 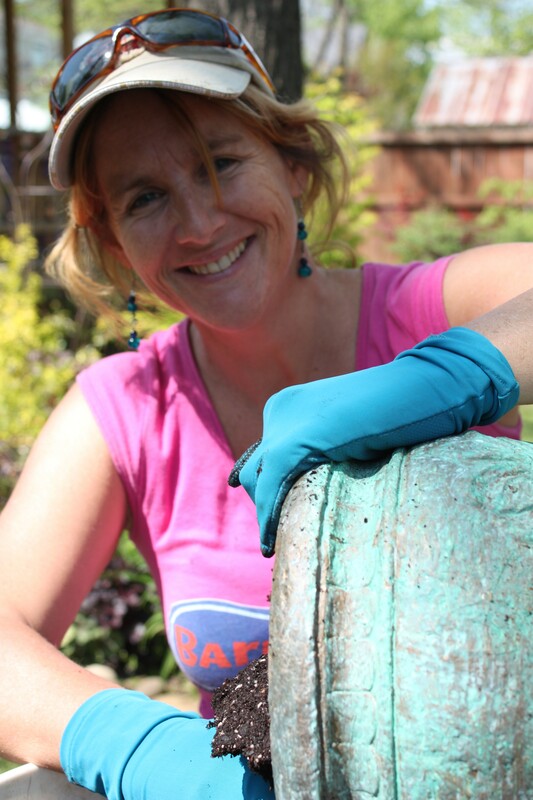 And if you’ve never done this before, first read this excellent post by Kerry Michaels about creating your first container garden. Sedum’s got a lust for life. When to plant? A very brief FAQ. You’ve inspired me out of my garden hibernation, Kim! Thanks! !